We were hired to renovate the Koya Japan in Grant Park. The largest and only sit down Koya Japanese Restaurant in the city. 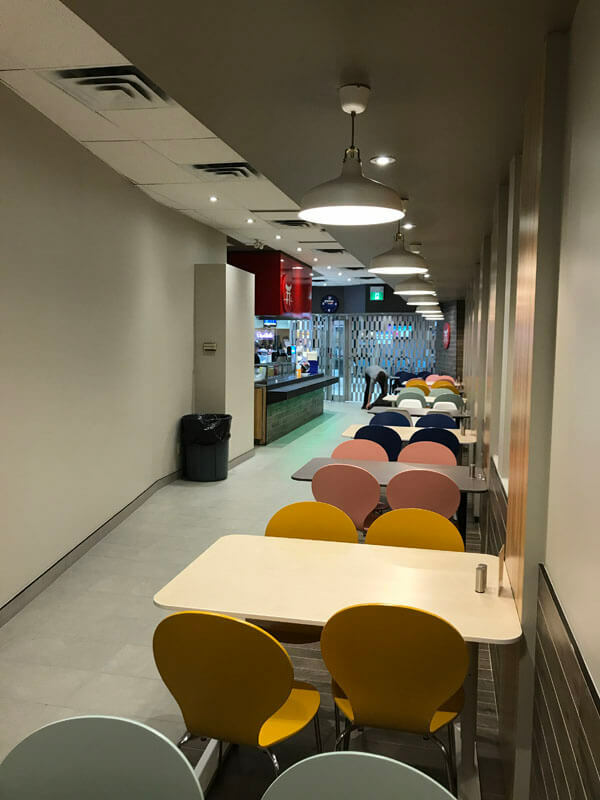 Head office in Toronto was instructing their franchisees to update the restaurants. 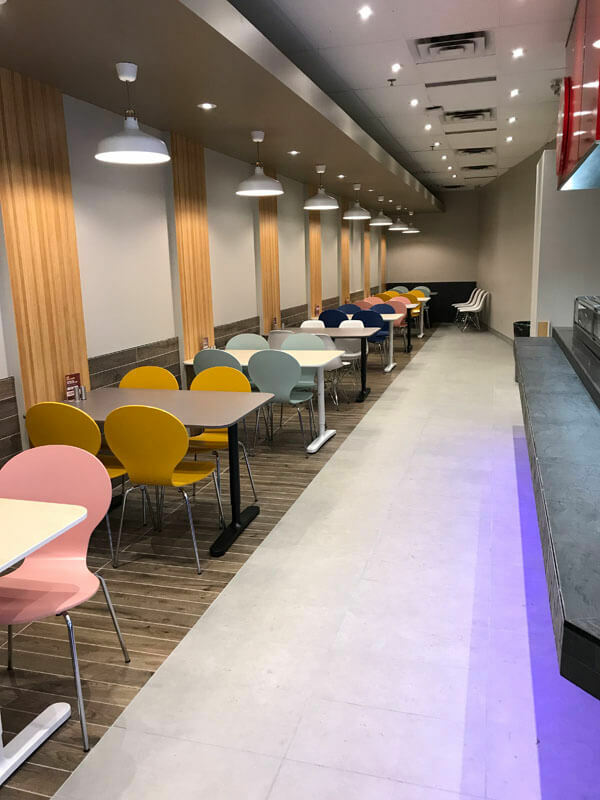 We were working with Koya Japan in Toronto following their specifications and working along with the local franchisee following his timeline. The organization of this project was the utmost of importance to make sure everyone kept in the loop and to keep our trades moving forward. 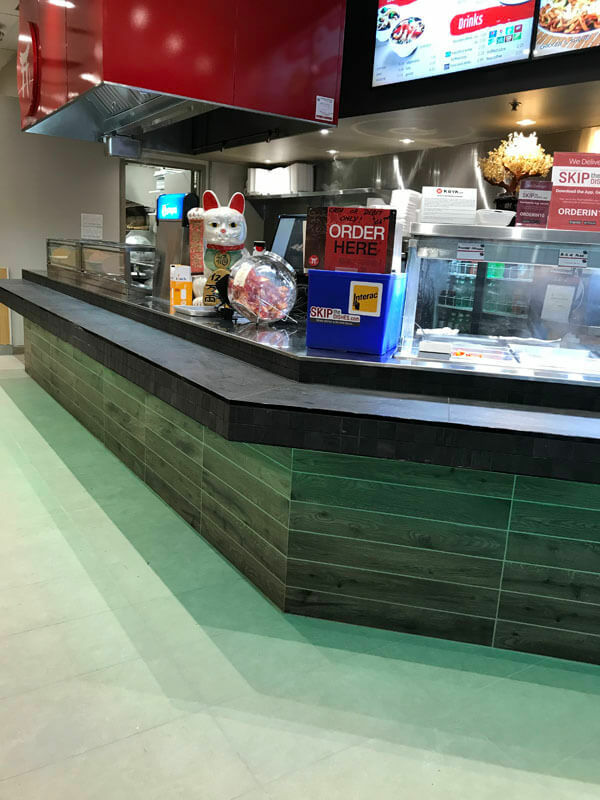 We updated the counter and installed stainless steel countertops and tiles along the front. 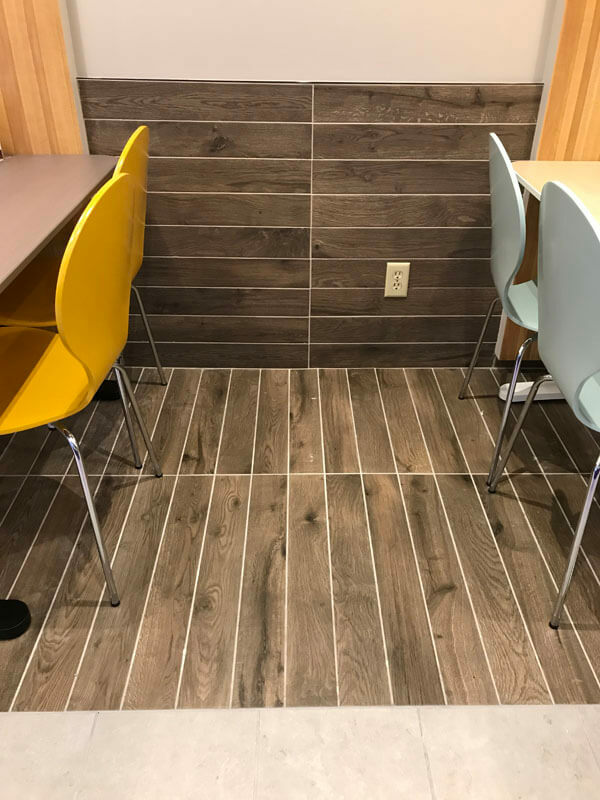 Flooring was all tiled including a feature wall. We developed a drop down ceiling along the seating area to make for a more intimate setting and put pot lights throughout the dining area. We hung a new sign and installed a massive red hood fan as a focal point of the restaurant. The owner was ecstatic once completed and now is enjoying its best gross sales year to date.